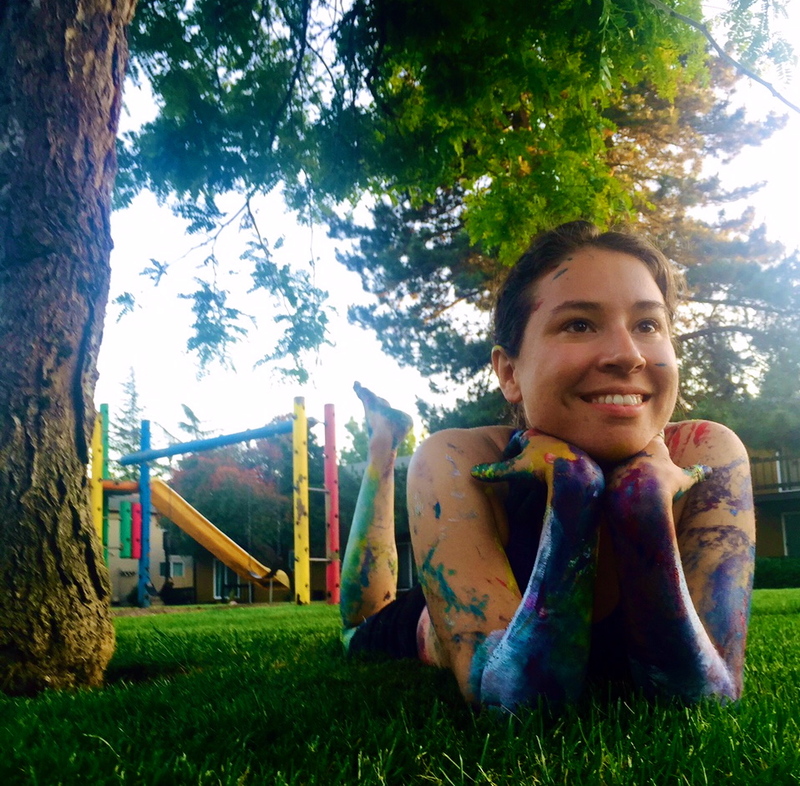 Leticia is a survivor of academia who left a PhD program to pursue a growing love for movement, mindfulness and connection. She employs yoga, somatics, mindfulness, expressive arts and creative play to help families learn such life skills as healthy attachment, focus/concentration and emotion regulation. She is also a trainer and consultant for children’s mental health and educational organizations. She has several years of experience developing therapeutic and educational programs for children and youth at nonprofits. Before moving to the area, Leticia worked with public schools in inner-city Philadelphia and immigrant and refugee communities along the U.S. Mexico Border researching the effects of resource access and allocation on the health and development of children and families. Leticia’s unique approach to mindfulness is playful, dynamic, and expressive while somatically informed. She does not teach be-quiet-and-calm, rather she facilitates expressive movement, collective creativity and encourages students to step into their practice with a sense of wonder and joy. It is her belief that learning such life skills should be educational and fun for all! Leticia is trained by Hand-in-Hand Parenting, a non-profit that helps families build solid parent-child connection, emotional intelligence and heightened resiliency through gentle, playful, evidence-based parenting methods. Through her training, she learned how to help families develop healthy attachment and attunement through creative play, collaborative problem solving and active listening. Leticia studied Trauma-Informed Yoga with SarahJoy Marsh at the Daya Foundation, where she learned about the effects of trauma on the nervous system as they relate to the practice of yoga and mindfulness. She has received both her 200-hour and 500-hour yoga teacher credentials. Additionally, she is certified through Birthlight to teach Fertility Yoga, Perinatal Yoga, Baby Yoga and Well Woman Yoga. Though rooted in (but not limited to) yoga, these modalities take inspiration from anthropology, dance, medical science, anatomy and physiology and place a joyous focus on community, parenthood and family. Leticia has taken several somatic workshops in the following: Body-Mind Centering, Somatic Experiencing, Continuum, Danceability and the Tamalpa Life-Art Process. She brings elements of each approach into her work with children and families using methods that are movement-based, expressive and uniquely personal. She has had the great privilege to work with Bonnie Bainbridge Cohen, Amy Matthews, Jamie McHugh, Daria Halprin, Alito Alessi and many others along the way! She has also engaged in self-study and taken continuing education classes in Occupational Therapy to learn about sensory processing. Her knowledge of sensory processing provides her with a contextual understanding of how sensory issues and learning disabilities (including ASD and AD/H/D) affect emotion regulation and learning in children. As such, she has a great appreciation of the importance of creative play as a learning process for children of all ages. “I registered my daughter with ADD for Leticia’s Mindfulness, Attention and Concentration Series. She loved it. I attended the first class with her and afterward her dad was a bit late picking us so we took a walk. To my surprise she just walked around with me, not bouncing off the walls or anything, just being perfectly calm. I was a bit taken a back by it, really. It was wonderful! 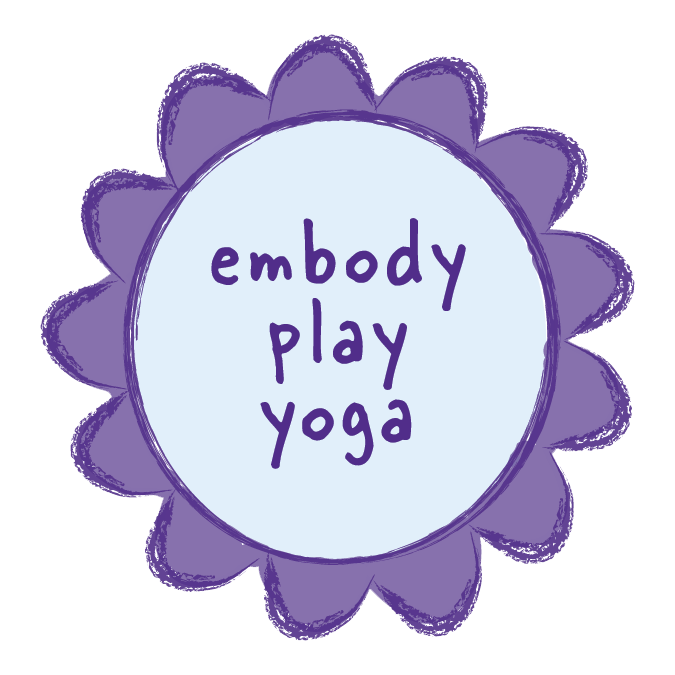 After working with Leticia for several months her behavior had improved so drastically that we were able to get her off of a 504 plan at school!” – L.P.
“Finding [Embody Play Yoga] in the community was beyond luck! My family first started taking free classes offered in our apartment complex, moved onto their donation based classes then to private mindfulness sessions for my 7-year old son. He has a trauma history, PTSD, ADHD, RAD and SPD diagnosis. As a result of the mindfulness-based play Leticia teaches, I witnessed immense growth in his ability to regulate his emotions, develop healthy attachment and concentrate. Today, I read him a story while he sat in my lap waiting for an appointment with his therapist. Three months ago he was throwing the book at my head. Six months ago he was tearing out the pages and eating them. Today, he was able to sit quietly engaged while I finished reading the entire book. I wasn’t sure that would be possible with him, but I see a light now at the end of this tunnel.” -T.K. “Sometimes I want to spank my child but I make a conscious decision not to. Instead, I have been practicing the skills I am learning in our Mindful Parenting Support Group [setting limits, staylistening, playlistening and the vigorous snuggle]. When my child becomes aggressive, instead of reprimanding, I move in close, snuggle and listen. It can be hard, but I want him to know that I love him and will always be here for him no matter what. I get judged a lot in public because people just want me to make him behave. I don’t care, because I know this works and it’s the best thing for us! We need more support for parents using this approach!” – B.B. “Leticia has done more for my son in one year than others have done in a decade of therapy. Thank you!” B.B. *The yoga therapy components of my teaching are based on my training with Rainbow Yoga, an international teacher training organization, not derived from my status as a RYT with Yoga Alliance Registry. My services are not a substitute for professional advice such as a medical doctor, therapist or psychologist. However, they are a great compliment to such professional services and I am happy to provide referrals to a number of professionals with whom you may access the help you need.